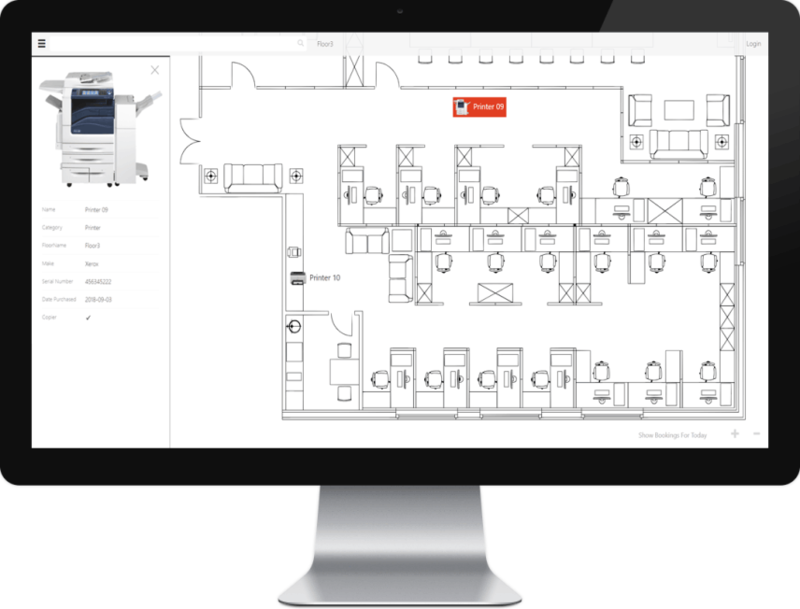 An office manager or facility manager can quickly setup a StaffMap project to efficiently manage space in the workplace. 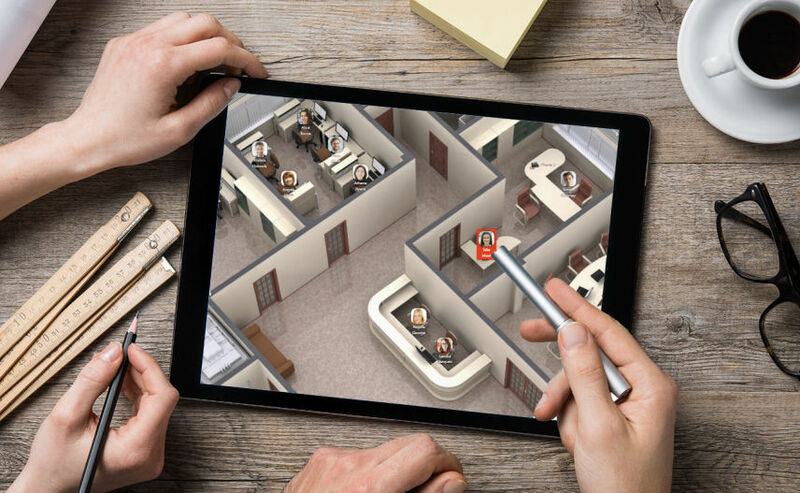 Keep your staff floorplans up-to-date from anywhere at any time. Allow staff to quickly locate other employees. Implement a shared desk (hotdesking) booking system to allow certain desks to be booked when needed. Plan employee desk moves as new people join the company, or seating allocation changes. Easily locate employees from anywhere on any device. 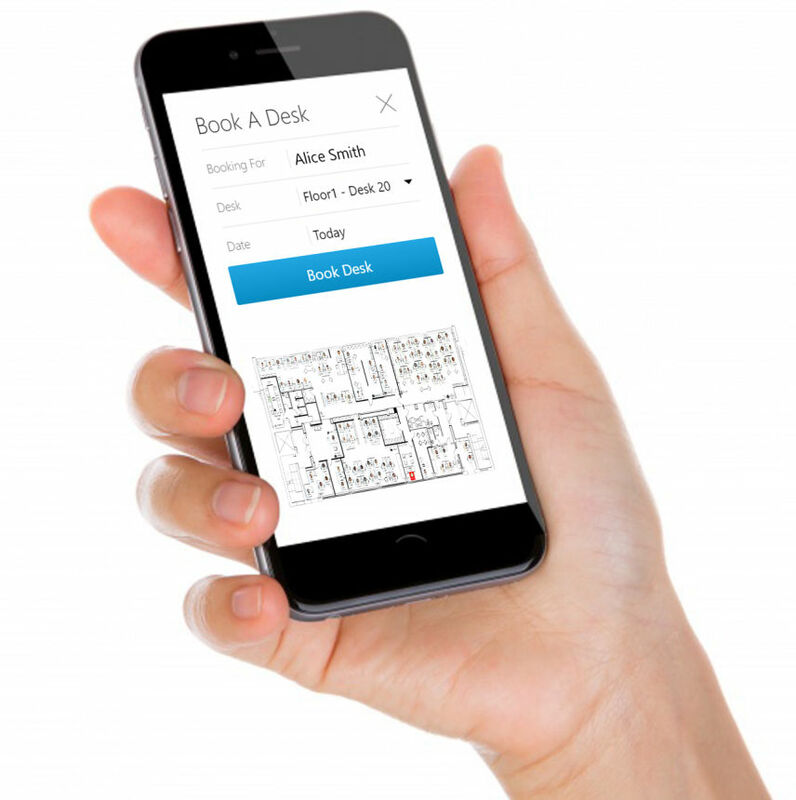 Update your office floorplans using a standard browser on your mobile phone, tablet or desktop. Simply log in, make changes and then log out. Screen elements are dynamically resized and adjusted based on the size of the screen. Staffmap provides powerful integration with Microsoft Active Directory. 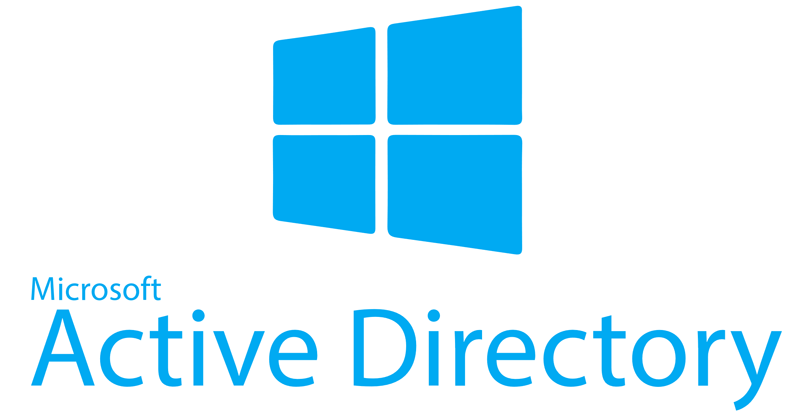 Sync employee records with Active Directory, or import employees from Active Directory. 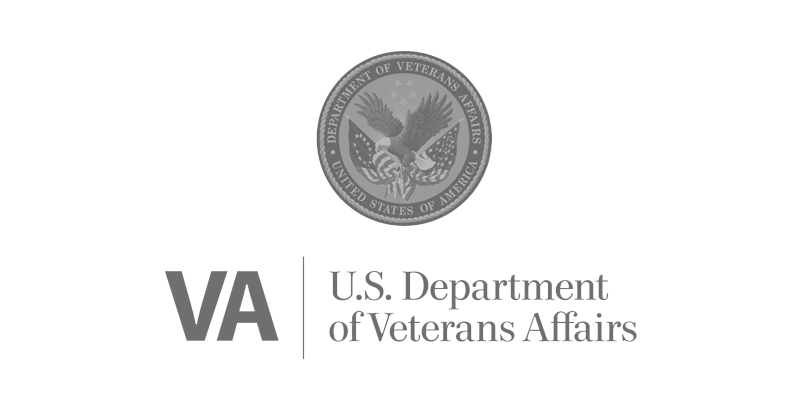 Administrators define which fields are connected, and apply filters to sync with specific organizational units or groups. Staffmap also provides auto-login through Active Directory so that once your employees are logged in to the network, they will be automatically logged into Staffmap with the same username. Easily import employee records from other systems. As long as the system can produce a CSV file, employees can be imported into Staffmap. Administrators define which fields are imported. 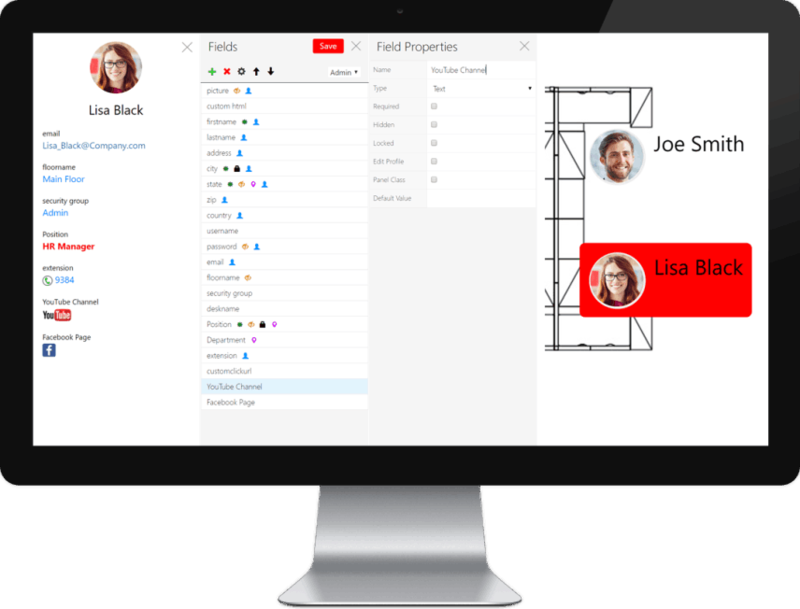 If desk names are included in the import file, employees will automatically be positioned at the matching desk on your floorplans. StaffMap was designed to successfully facilitate coworking and shared desks (aka Hotdesking). 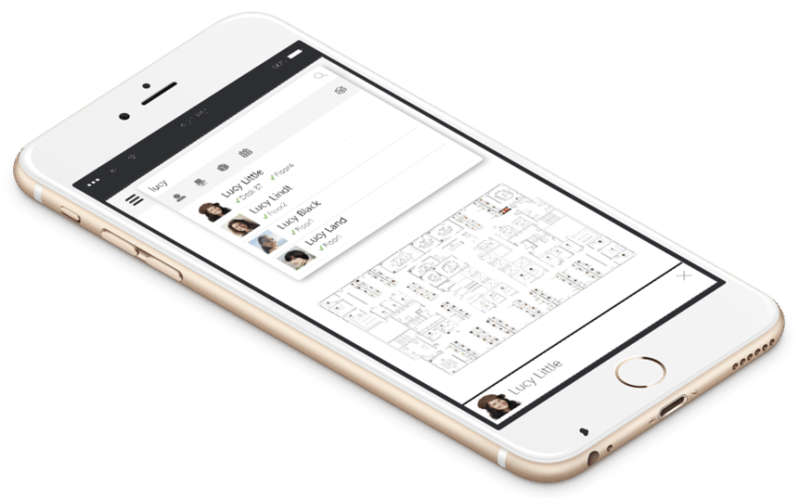 Employees can choose their booking date on a calendar and then their work space on the company floorplan. Upcoming bookings are displayed on the 'My Bookings' screen. Double bookings are eliminated, managers know exactly which desks are in use, and work space usage is optimized, reducing facility costs. Large organizations are always in a state of change, and need to be able to increase, reorganize, or downsize their workforce to effectively compete in their industry. With Staffmap, facility managers can effectively plan and execute employee and asset moves with minimal disruption to daily operations. Staffmap allows managers to create various move scenarios and then choose the one that makes the most sense. Manage all of your company assets including printers, computers, audio/visual equipment, shredders, coffee machines, artwork, filing cabinets, lockers, etc. Represent shared assets on company floor plans to be booked by staff day to day. Track equipment usage and location on your floorplans or on a world map. Create floor plans from storage room, locker room, or parking space images or plans and allow staff to book and update these spaces. 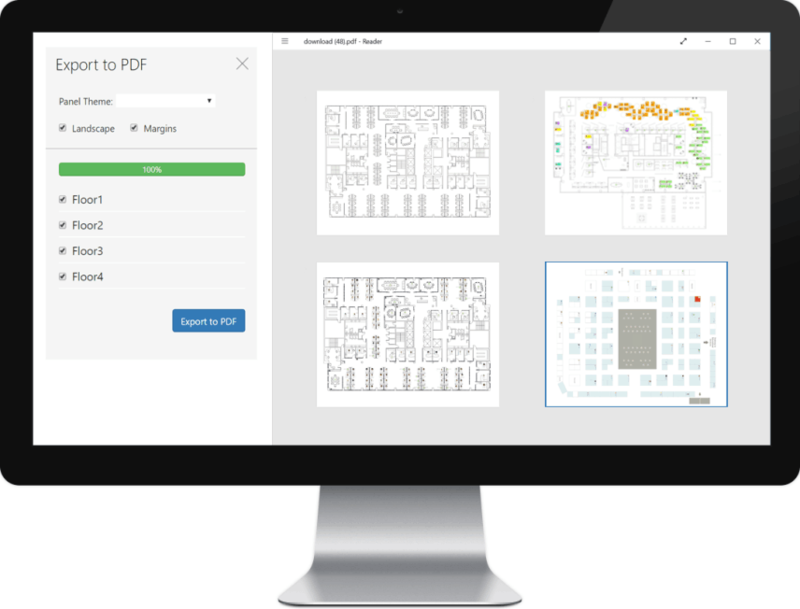 Export your floorplans to high quality PDF, or high resolution jpg format for easy distribution. These exported floorplans can be easily embedded in your website as thumbnails, full floorplan images, or emailed out to employees. Select a specific layer such as printers to export an equipment floorplan showing only printers. StaffMap features a powerful Google Maps integration to organize remote assets across the globe. View employees working out of the office or company assets on a fully interactive world map, accurate down to the street address. Provide customers, clients, partners, and employees with an international facility location map. Organize remote employee details with their staff profile present on the map. 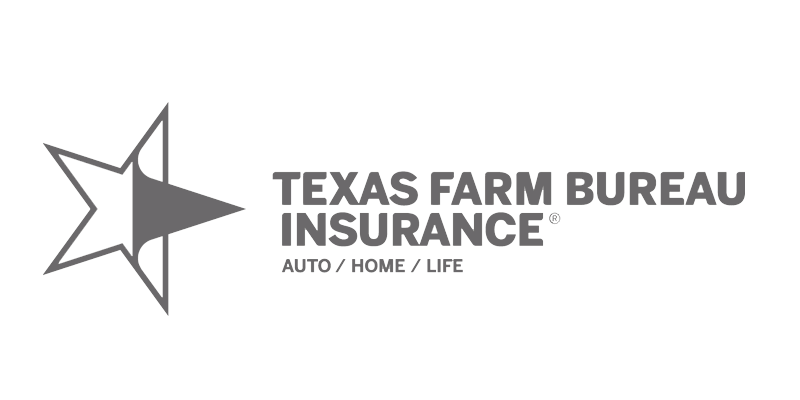 The employee form, desk form, booking form, move request form and asset form are all fully customizable to meet your company's specific requirements. Add any number of custom fields including text, memo, list, date and checkbox. Give varying levels of access to staff details via project security groups to protect sensitive information. Set up required and optional fields or pre-fill fields with default values. 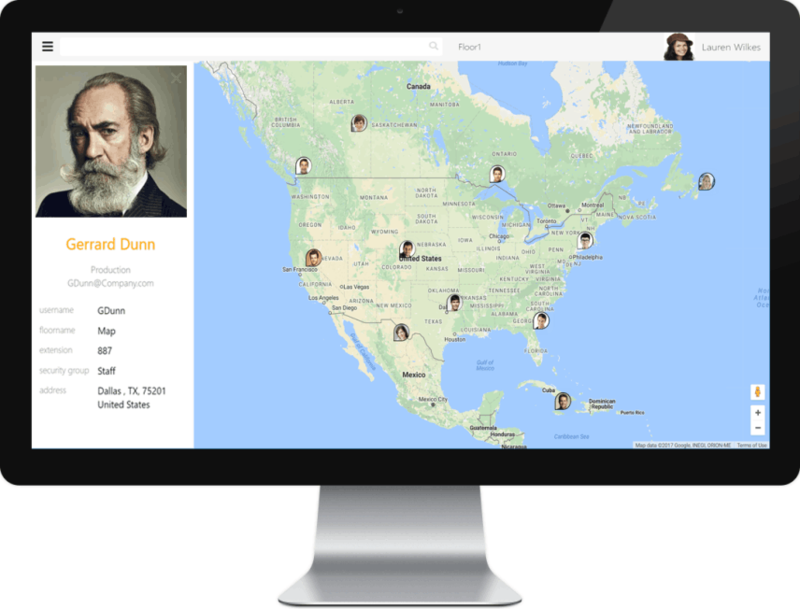 If you need to find someone in the office, StaffMap can quickly connect you. 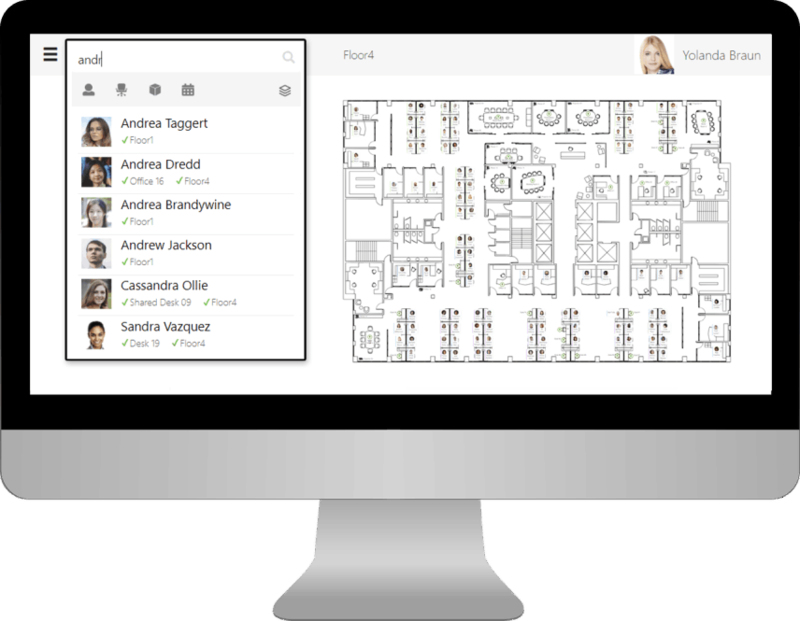 Every staff member in the system can be searched for and located on your company floorplan. 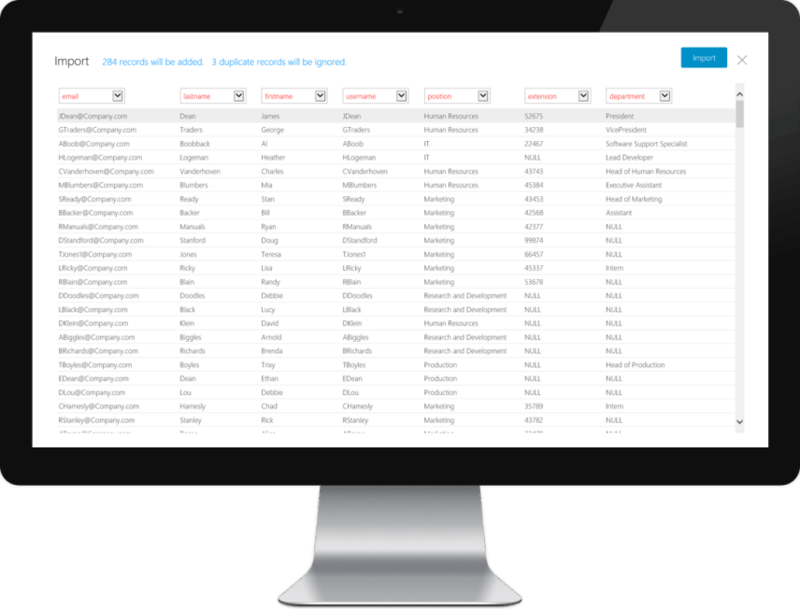 The quick search also allows you to easily find desks, assets and bookings. Embed a StaffMap project to your company website in an iframe or publish clear office floor plan images for staff, clients, or customers to reference. Use layers to organize all of your employees and assets. 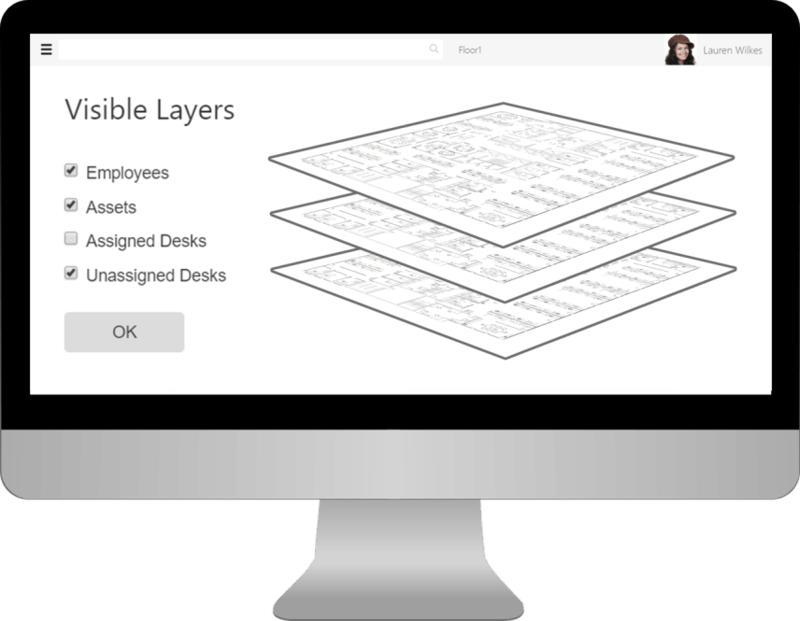 Default layers include employees, bookable desks, assigned desks, and assets. 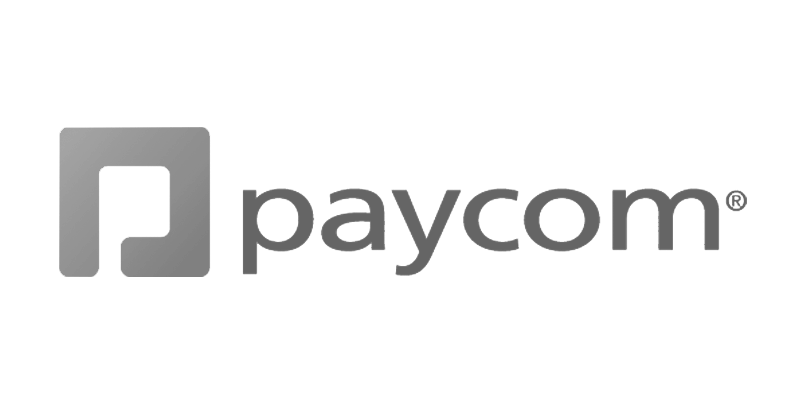 Create your own custom layers to display just printers, just phones, or just employees in the accounting department. Layer names can be passed in the URL to only display specific layers such as employees or assets. ✓ Book equipment, lockers, parking spaces, etc. ✓ Support Google calendar, Outlook calendar, iPhone, etc. ✓ Records events such as add employee, request move, etc. 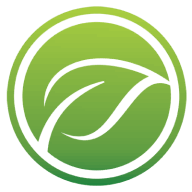 ✓ Pass parameters such as employee id, username, etc. ✓ Display desks, employees, assets, bookings, maps, etc. ✓ Panels can be styled to display larger text, colors, etc. ✓ Map all of your printers, phones, servers, furniture, etc. ✓ Edit project styles to customize panels, forms, etc.